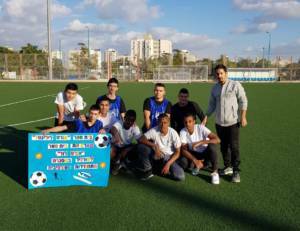 Fair Play – Youth Against Violence in Sports is a programme initiated and led by Ortov in Sci-Tech Israel schools. The programme aims to raise awareness among children and teenagers to the issue of violence in sports, and to its causes and implications, but mostly it aims to equip the students with applicable tools for dealing with conflict situations during sports matches. Such tools may prevent escalation of violent incidents, whether verbal or physical. The program is based on imparting key values concerning sports and fair play; forging of team spirit, building confidence, persistence and excellence; handling conflict situations; dialogue as a means to establish constructive discourse; and more. As part of the programme, the students are asked to promote a joint project in their school, on a topic of their choice, which puts into effect the values they have acquired during their participation. A couple of meetings with joint activities took place recently among Sci-Tech schools. 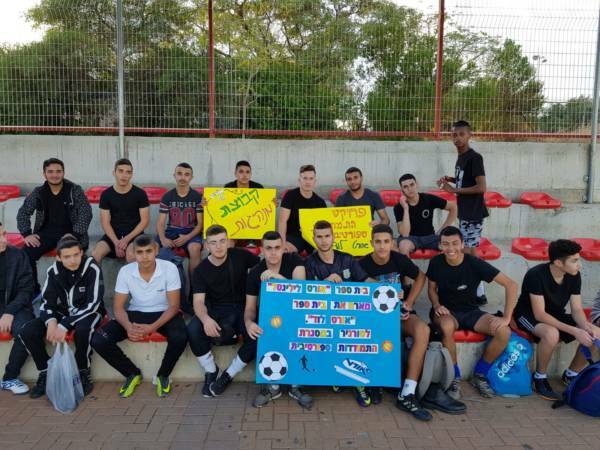 The first involved Sci-Tech Kiryat Gat High Vocational School and Sci-Tech Zur Barak, and the second involved Sci-Tech Zeil Lod and Sci-Tech Lilienthal Ramle. During these meetings, the students had a shared lesson about fair play. They watched, and analyzed together, sport-themed video clips that deal with values such as team work, cooperation, and crisis resolution. 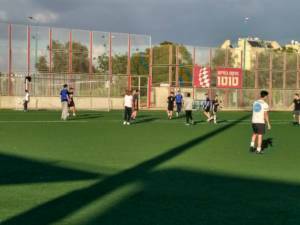 Later on, the students played a fair football tournament on the pitch. 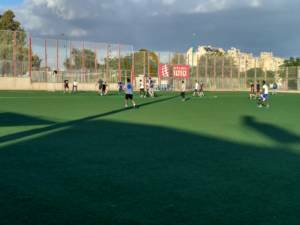 The tournament was accompanied by lively cheering from the other students , while maintaining a respectful atmosphere among the players on field. Each match started with handshakes, and with mutual introduction among the players. The students demonstrated top skills, put in a lot of effort, and enjoyed the meeting and the tournament.